Looking for a great place to buy real estate? 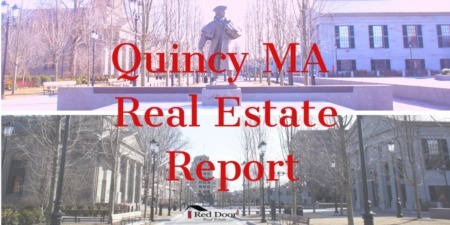 Houghs Neck is a neighborhood located in Quincy, Massachusetts with enough isolation for those looking to live the quiet life, but also near plenty of stores and attractions. If you decide to buy a home in Hough’s Neck plan to be embraced by the friendly community of “neckers” as locals are referred to. Houghs Neck was used as farmland until the late 1800s and positioned on the Rock Island peninsula. The town receives its name from the original owner of the farm and orchard, Atherton Hough. The neighborhood began to develop as more and more families began to spend summers at Hough’s Neck. The neighborhood is still well-renowned for its access to beautiful beaches and top-notch flounder fishing. Year-round residents live in the many cottages in the part of the peninsula known as “God’s Country.” Extended families that have been living on the peninsula for years are a mainstay, but new residents are also welcomed and have a tendency to stay in the area after being exposed to the gorgeous ocean views. The majority of residents in Houghs Neck have less than a 30 minute commute to work. Property and violent crime rates for the neighborhood are extremely low. Property crime rate was 2.39 percent while the violent crime rate was 0.45 percent as of 2011. Due to the low crime rate, families with children tend to habitat the neighborhood. Neighborhood children attend the Quincy Public School District schools. Houghs Neck is home to plenty of restaurants, retail stores and other businesses. Area restaurants include Manet Lunch and Louis Restaurant (closed temporarily). A recent addition, and a family favorite is Hough Many Scoops. A locally owned ice cream shop that challenges visitors with "The Crusher". An overwhelming pile of ice cream that locals can compete on who can finish it the fastest. For recreation, bring the children to La Brecque Playground on Sea Street. It is over six acres and includes playground equipment, baseball fields, soccer fields and basketball courts. Two beach areas can be found in the neighborhood of Hough’s Neck. Rhoda Beach is a small neighborhood beach in Hough’s Neck with offsite parking. Two beachfront areas each measure approximately 50 yards. Edgewater Drive Beach is the more populated and larger of the beach areas in Houghs Neck. The beach measures almost 200 yards and lies adjacent to Raccoon Island. Amenities found at Edgewater Drive Beach include swimming, parking areas, park benches and picnic tables. The peninsula of Houghs Neck is flanked by Quincy Bay, Rock Island Cove and Town River providing waterviews from many of the homes in the area. Community events are extended to all residents of Houghs Neck. The ChowdaFest takes place every September and awards prizes to the restaurant and home chef with the best chowder recipe. Other standout annual events include the Christmas tree lighting at the fire station and the beach festival for the Fourth of July holiday, held on the 3rd of July. 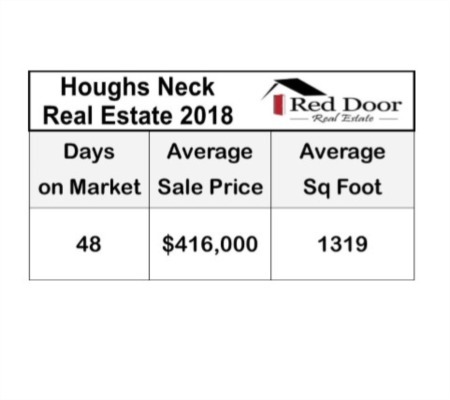 Purchasing a home or business in Hough’s Neck is likely a decision you will not regret. Singles, families and retirees will find plenty to do in the area while enjoying being part of a tight knit community. Included below are homes for sale in Houghs Neck. If you would like more information on any of these Houghs Neck real estate listings, just click the "Request More Information" button when viewing the details of that property. We can provide you with disclosures, past sales history, dates and prices of homes recently sold nearby, and more. And, if you haven't already, be sure to register for a free account so that you can receive email alerts whenever new Houghs Neck listings come on the market.